It is the policy of the Mississippi Madawaska Land Trust (MMLT) that MMLT volunteers, employees and contract workers shall abide by the following privacy and security statements and that these shall be communicated within and beyond the MMLT. The Mississippi Madawaska Land Trust understands the sensitivity with which your personal information should be handled. We are committed to safeguard your privacy in order to earn and maintain your trust. We will use our best efforts to ensure that the information you submit to us is used only for the purposes set forth herein or as otherwise communicated to you at the time you provide us with personal information. 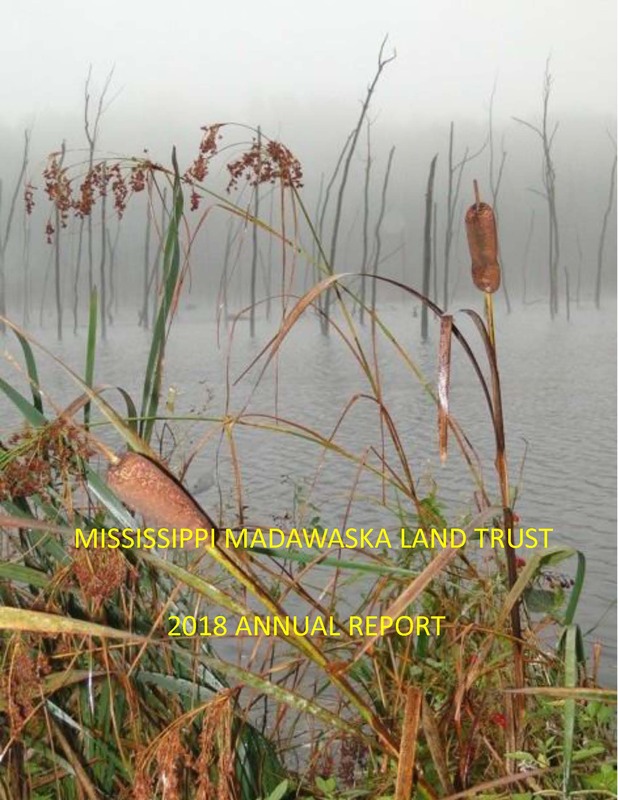 Donations to and purchases for the Mississippi Madawaska Land Trust (MMLT) are processed by database software. This information is collected to the MMLT database, and utilized for future communications with our members and supporters. We do not share, sell or trade member or donor information with other groups or organizations. If at any time you prefer not to receive these communications please advise by sending an e-mail message to admin@mmlt.ca, attention Privacy Officer, and we will be happy to mark your name accordingly. Please provide us with your exact name and address. The MMLT limits access to personal information about you to employees, contract workers and key volunteers who reasonably need to come in contact with that information to provide services to you or in order to perform their duties. These employees, contract workers and key volunteers are required to sign a confidentiality agreement as part of their employment/volunteer contract. Upon request MMLT provides members and supporters with access to all information that we maintain about them, including: proprietary information; financial information (e.g. credit card account information); unique identifier information (e.g. Membership number); transaction information (e.g., dates on which donors made donations, including amounts and types); volunteer activities, property and easement information (in the case of property and easement donors) and contact information (e.g., name, address, phone number and email address). Members and donors can access this information by sending an e-mail to admin@mmlt.ca or calling 613-253-2722. Processing your membership or donation to the MMLT, including issuing of receipt. Contacting you to renew your membership, support a MMLT appeal, or get involved in a local event. Contact you concerning your giving level. Providing you with MMLT information updates by mail or e-mail. Contacting you for feedback and surveying your needs in connection with the services and programs we offer. Publishing names of donors in MMLT publications (name and donor level). In order to satisfy the requirements of the Canada Revenue Agency, we maintain records of all contributions to the Mississippi Madawaska Land Trust. Personal information is private and confidential. Additionally, all information is stored in a secure location accessible only by authorized staff. Disposal of information is conducted in a secure manner. The Mississippi Madawaska Land Trust makes no effort to identify visitors to its website. In addition no identifying data is disclosed to any third party for any purpose. The data that is collected is used only for server administration and web content research. This statement applies to all interactions with the MMLT servers. This does not apply to e-mail sent to MMLT contacts, staff or lists. E-mail interactions are guided by general net-etiquette conventions. E-mail interactions are authenticated. Consequently we have the capability to identify respondents. All reasonable efforts will be made not to disclose your e-mail address to any third party for any purpose. By registering your email address, you are added to our MMLT mailing list and your identity is relayed to the MMLT e-mail list convenor but only for the purpose of disseminating information regarding the services and programs of the MMLT. There are links on the MMLT website that take you to other websites outside of our service. Any links provided to third party websites outside of MMLT.ca are provided solely for your convenience. MMLT is not responsible for any content of any linked website or any changes or updates to such websites. The inclusion of the link does not mean that the MMLT endorses that website. Please be aware that the MMLT is not responsible for the privacy practices of other websites that we link to. We encourage you to read the privacy statements of each and every website that requests personal information from you.